The CountryBreakout Chart’s Top 4 songs aren’t budging, at least not this week. Lady Antebellum’s “Our Kind Of Love” has the advantage of a comfortable lead in spins and holds the No. 1 spot for a third consecutive week. Closing the gap behind the Capitol trio is Billy Currington’s “Pretty Good At Drinkin’ Beer” at No. 2, Kenny Chesney’s “The Boys of Fall” at No. 3 and Darius Rucker’s “Come Back Song” at No. 4. Easton Corbin’s “Roll With It” is the sole new entry to the top 5, with a gain of 176 spins. 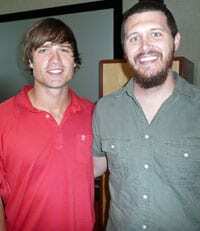 Recent charts have witnessed several new singles from country superstars making huge gains in spins and position. That trend seems to be leveling out slightly, and the spins now seem to be somewhat more evenly dispersed. Brad Paisley’s “Anything Like Me” is the biggest gain in spins at 376, followed by the latest from Zac Brown Band, Taylor Swift, and Dierks Bentley which all gained above 300. The group of singles that gained above 200 spins includes Rascal Flatts, Jason Aldean, Carrie Underwood, Kenny Chesney, Luke Bryan and Sugarland. Movement on the chart has been quick lately, and singles are predominantly young. In fact the oldest singles at present are Little Big Town’s “Little White Church” and James Otto’s “Groovy Little Summer Song,” both of which are at 26 weeks. With singles like Taylor Swift’s “Mine” and Sugarland’s “Stuck Like Glue” already inside the top 20 in under 5 weeks–with more new singles in their wake–working the chart this fall could yield some very interesting results. (L-R) at KWNR/Las Vegas Greens and Guitars gold tournament: Troy Olsen; Frankie Ballard; Kristy Osmonson and Kelly Shepard from Bomshel; KWNR PD Cary Rolfe; Sarah Darling; and Blaine Larsen. 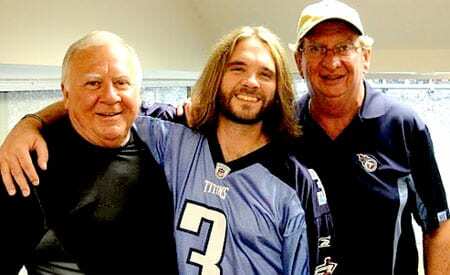 Bo Bice sang the national anthem at the Tennessee Titans home opener Monday night. (L-R): LCR president and artist consultant Mike Borchetta, Bice and consultant Joe Patrick. « Nashville Opera Names Kira Florita Sr. Dir.